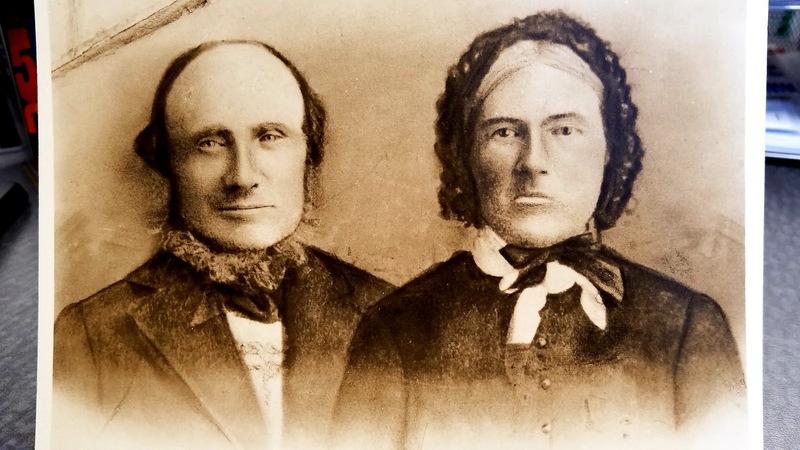 The Family Connection: Martha Ann Morris Knuff (1869-1935) From Canada to Los Angeles: Is she your ancestor? Martha Ann Morris Knuff (1869-1935) From Canada to Los Angeles: Is she your ancestor? This is the second batch of photos that were recently found in a resale shop. 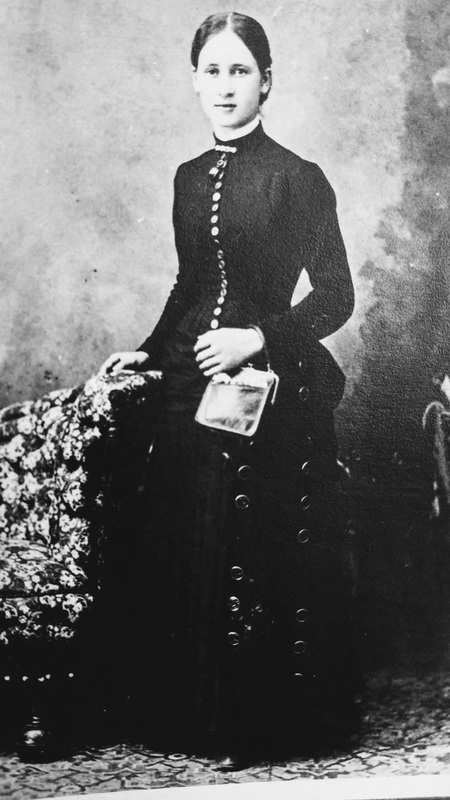 This beauty is Martha Ann Morris aged about 16 according to the writing on the back of the photo. She was born in Canada on in 1869. On 28 January 1891 she married Angus Knuff. Agnes and Martha can be found on the Canadian census for Battleford, Saskatchewan for many years. In 1930 Martha was living in Los Angeles with her daughter, Loretta Moore. Both she and Angus applied for Social Security in the United States. Martha died on 12 April 1935 and is buried in Los Angeles. Angus died in 1951 and is buried in Canada. These photos were part of collection that included the Jennison Family of Mason City, Iowa who also moved to L.A. According to a second photo, Martha Ann was raised by her grandparents and later became a 'mothers helper for a family named Morrison. Pictured below. However there is an ancestry tree which lists her parents as Matthew Morris and Emma Hutchinson. Both of these names are on the back of this photo. I suspect that these folks are her parents. 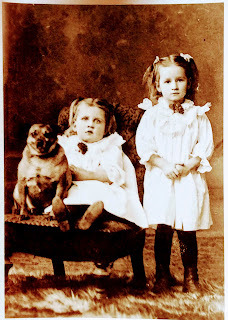 Here is a photo of two of Martha's children Loretta Alberta and 'Fernie'. The dog is not named. Are these your ancestors or people in your tree? Would you like these photos? Send me a message with your name and address. What I ask in return is a donation of $10.00 to cover the cost of mailing envelop and postage and a bit of my time or....you can buy a copy of my book. Either way, please contact me and I will be happy to get them in the mail.